Maiyet is succeeding in its creation of ethical fashion in a sustained and meaningful way that is rare in the space of luxury apparel. As the brand continues to grow, the challenges will be greater, yet so will the opportunity to positively impact artisan communities around the world. The Business of Fashion’s Suleman Anaya explores The Luxurious Goodness of Maiyet. Maiyet‘s mission to cultivate business and craft in unexpected places brought the team to Kenya, where director Cary Fukunaga created a beautiful East African love story in Sleepwalking in the Rift. Paul van Zyl, CEO & Co-Founder of Maiyet, told the New York Times, that his goal is “to create a fashion brand and pioneer new luxury by celebrating rare skills from unexpected places.” The result, as New York Times Fashion & Style writer Suzy Menkes reports, is a beautiful and exceptional line of luxury apparel and accessories with a human touch. Pieces carefully crafted by artisans around the world in developing economies come together to create a line that inspires and delights customers. 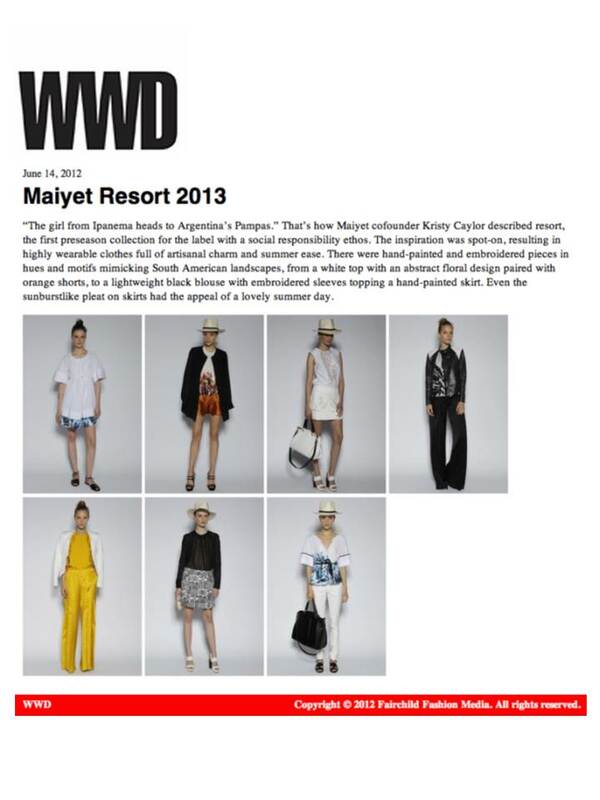 Julian Tapia, Editor-in-Chief of StyleRumor , can’t get enough of Maiyet’s Spring 2013 Collection. Since its debut last year, Maiyet has attracted a lot of attention for its work in harnessing artisans’ talents in developing economies around the globe towards a new kind of socially conscious luxury apparel. Now, all eyes are on Maiyet’s breathtaking looks for Spring 2013 from their Paris Fashion Week show. Style.com reported that Maiyet had “some of the easiest, best-looking dresses of the entire season,” and in the New York Times, Suzy Menkes described the collection as “sleek, sophisticated and even playful.” According to Vogue UK Maiyet is that “fashion anomaly” that has succeeded in creating an ethical brand with a commitment to design that enables it to turn out coveted pieces each season. Click on the images above to see all of the looks from Maiyet’s Spring 2013 Ready to Wear show at Paris Fashion Week. With the swift passing of Labor Day, it’s time to switch gears from Summer to Fall. One of the best parts of this new season is the launch of Maiyet‘s Fall Collection, now available at Barneys in New York, San Francisco, Beverly Hills, Boston, Chicago and Las Vegas. Click on the image below of Daria Werbowy shot as part of the Fall Campaign on location in Kenya to peruse the latest pieces fashioned by artisans in developing countries around the world. 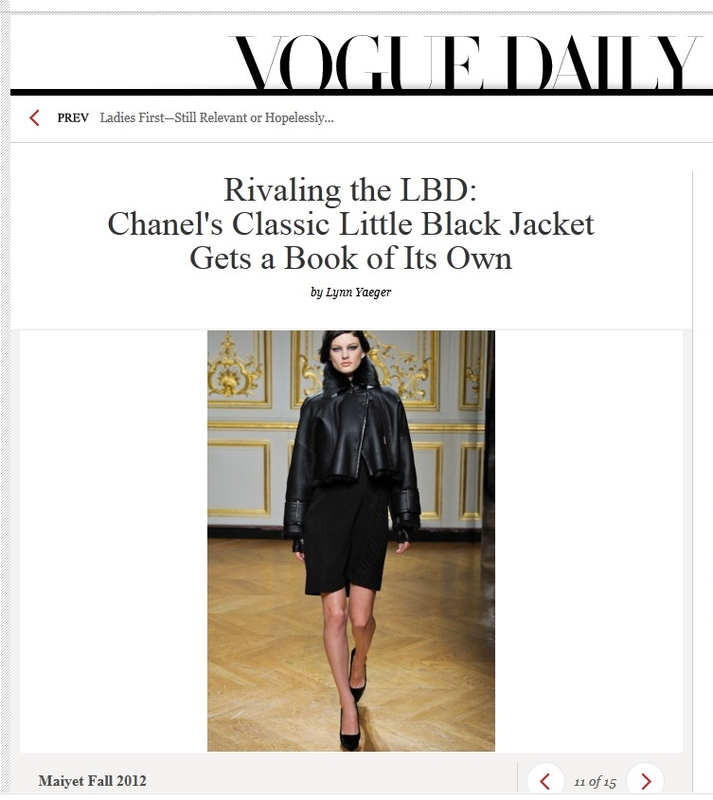 Vogue featured the new socially conscious fashion brand, Maiyet, among top designers with the most stylish black jackets in the Fall 2012 collections.